The mod is still in alpha stage, does not mean it works badly, but only that it is incomplete. Many other things are planned, not only about fluids. This mod is quite stable, just do not use all that is labeled as WIP. Slimy Wood Planks is the basic component of Wooden Tank. 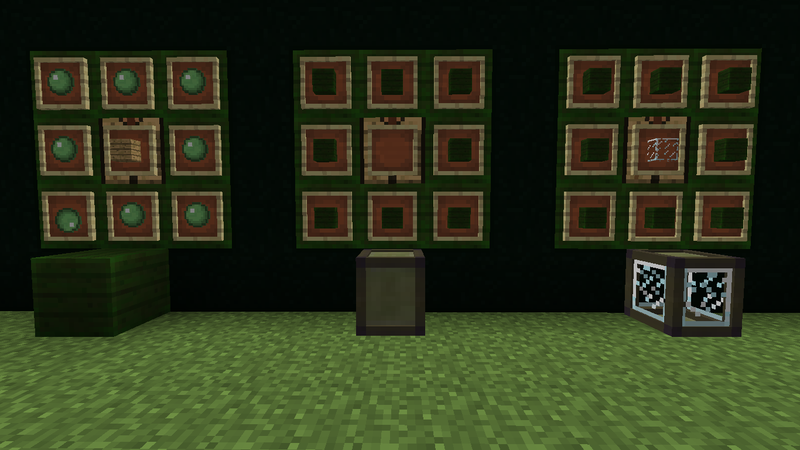 Wooden Tank is the first type of tank that you are able to craft initially. 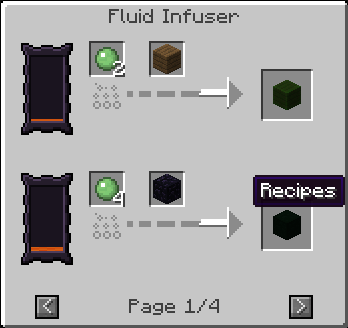 You can see what kind of fluid there is inside just adding a piece of glass in the crafting recipe. The Ender Tank works exactly as the vanilla endrer chest, but for fluid. The Clay Tank is the second tank you can make. Basic Fluid hopper moves fluid from a fluid container on top of it to another. 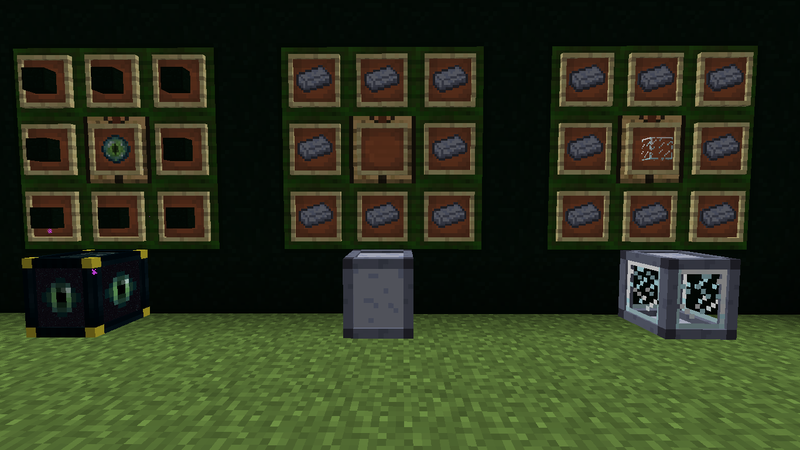 A redstone signal prevents it from working. 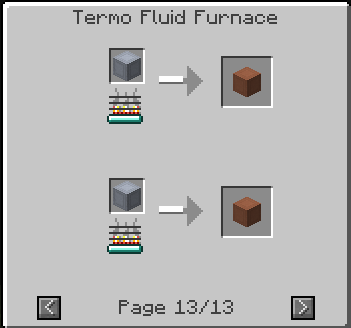 Fluid Furnace uses only lava to cook, and only the necessary quantity. So it's very efficiency. 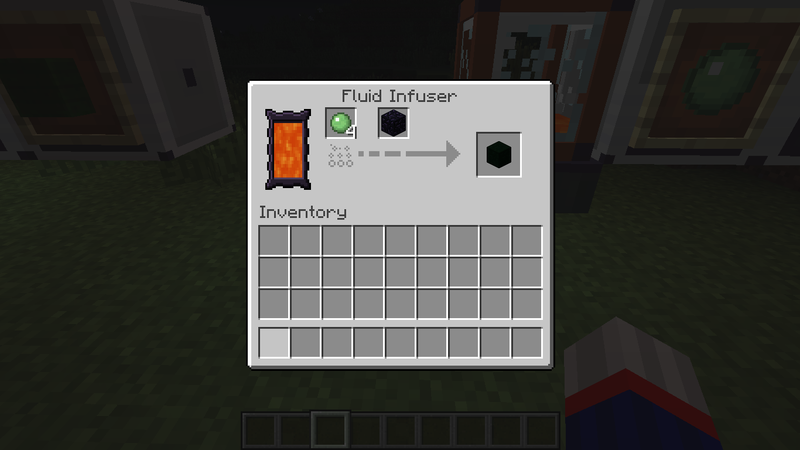 With the Fluid Infuser I introduce a new crafting system, where items are melted and infused with other items. 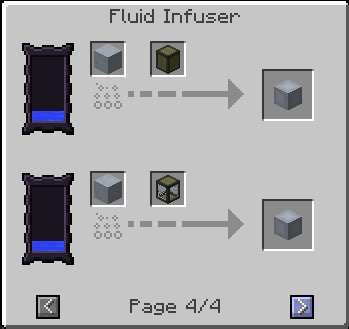 Fluid Hopper moves fluid, similar to the basic one, but quicker, and also it can drains source blocks from the world. The Active Maker makes Active Lava (a fluid potentially hotter than Lava). The Termo Fluid Furnace is an advanced furnace.It's smelting speed and efficiency depends on its internal temperature. 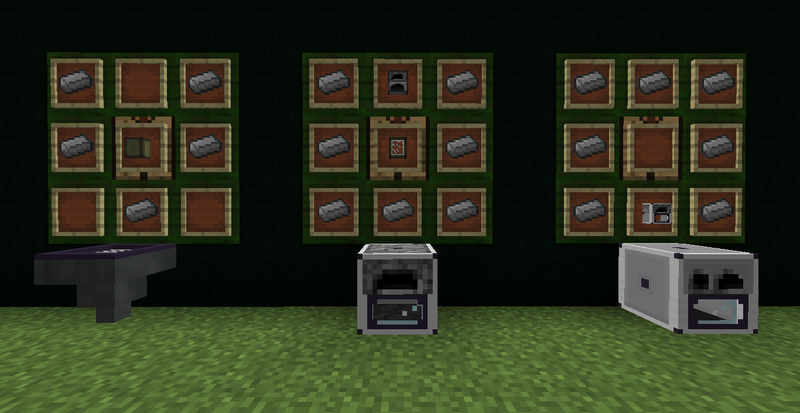 Also it handles a new smelting recipes. 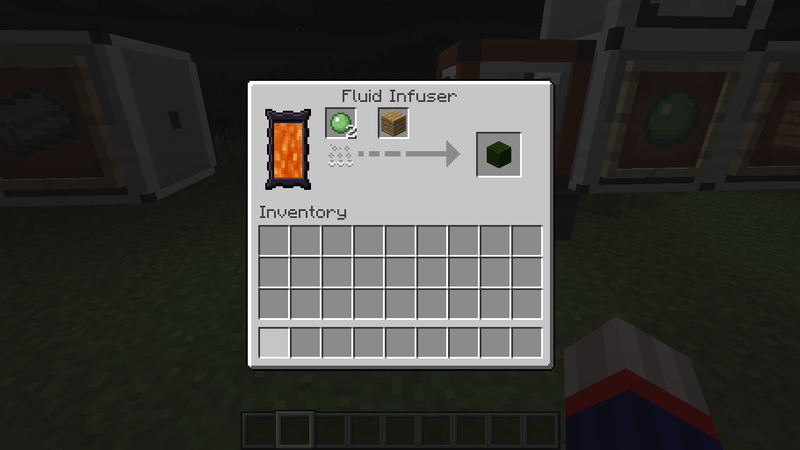 With the Fluid infuser is available a new way to get Slimy Wood Planks using less slime. Clay Iron Ingot is the is the basic component of Clay Tank. 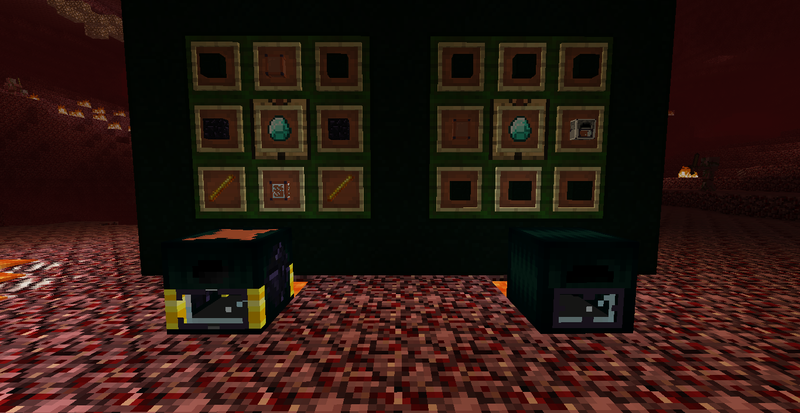 Slimy Obsidian is the is the basic component of Ender Tank. Harden clay tanks don't lose their inventory if they are picked up with silk touch! Ok, I finally completed the post! If you want to have a look at my work I will be very happy! Thank you very much for your consideration, I already found this problem on the itemframe but I don't know how to fix it, because if I center the object on the itemframe it is not centered on the inventory. So I prefer that it looks nicer in the inventory. -lava furnace is using more lava for less items to cook, is think intended? -didnt test it with NEI and waila, is there support? - My idea about the container was to stay close of the chest behaviour, so you cannot have more than 2 tanks fused together. 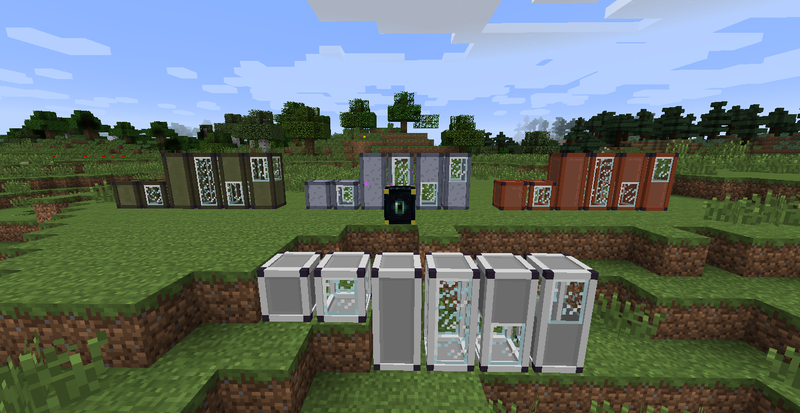 - I didn't understand what is the problem with the endertanks... When exactly do not they work? In my environment they work fine. - They fluid furnace should not use more lava because...how it works is to transform a small quantity of lava into heat and then it uses that heat for cooking. Maybe you have still some residual heat into the furnace that you can use for cooking. - Actually I don't support these mods but it is in my planes. I'm working on fixing bugs regarding the itemframes. Dont be funny, he clearly meant plans. This looks interesting, though, I have some questions which I may answer myself when I get around to trying it. How many buckets of water does a double tank hold? Can you safely move these tanks when filled? Can the Lava furnace handle anything smeltable, from other mods? This is nice from a vanilla standpoint, where you dont have many mods or overhauls, However from a Tech mod standpoint, this seems mid game stuff and by then you'd have better alternatives already. I just find these slightly more aesthetically pleasing. And lastly, is this mod purely for those tanks and machines or is this a "catch all" where you add many more unrelated sets of things? For these tanks I design that they cannot be taller than 2, but maybe I'll be implemented something that is infinitely expandable. 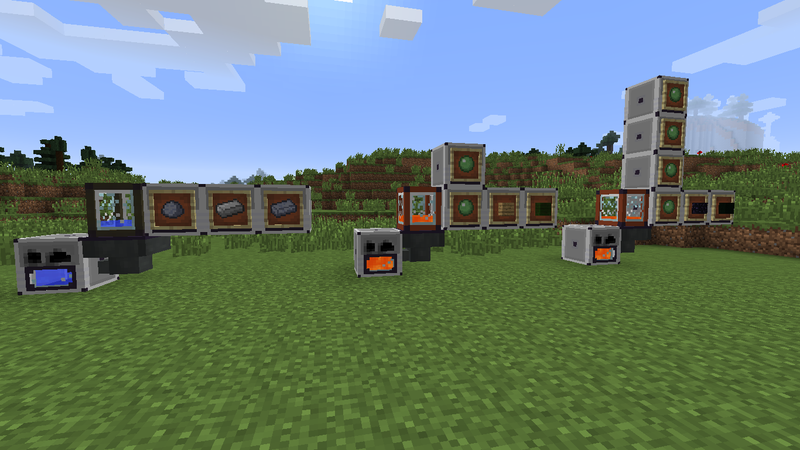 The ender tank behaves like an ender chest, so it's normal that fluid hopper cannot interact with it (I'm working on something that will bypass this restriction). Fluid furnace shouldn't use more lava with less items, anyway I'll check it. A single tank contains 27 buckets, so a double one contains 54. The fluid furnace can handle anything that a regular furnace can smelt. Until now I tested my tanks only with BC pipes and they works fine, so I guess (or I hope :P) they will works also with others mods. I have future plans for something that not necessarily involve tanks ( just look at the WIP items... ). 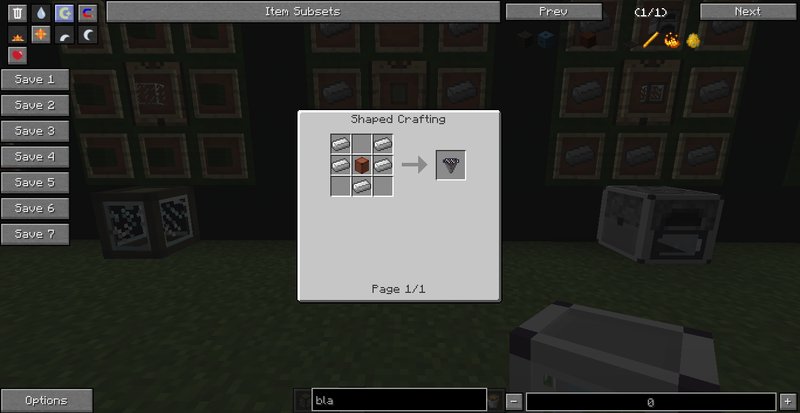 I developing this mod so that you can use it without other mod, so I start from "basic" blocks and items. is this done because of the vanilla chests? 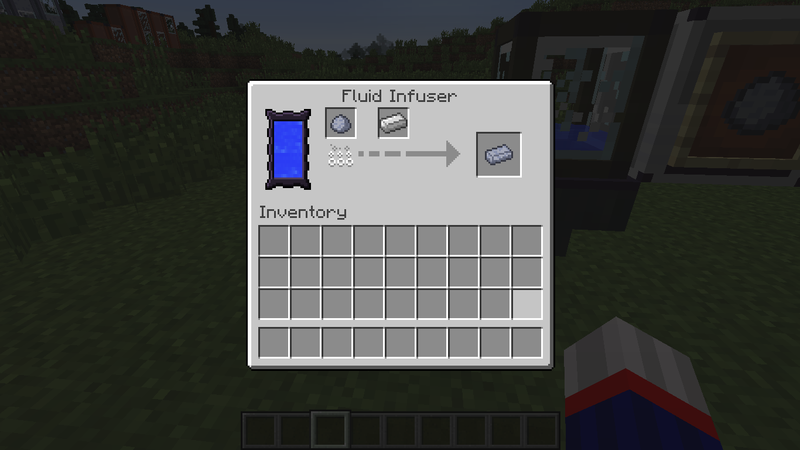 I understand, but I added support for comparators to read more easily the fluid level inside tanks. However this is an alpha release, so I might change my mind and use more common values. The challenge that I wont to propose to you is: "Figurate how to get this block without cheating!". Please, after create it, you have to write the passages here in the forum! The player has to interact in the right way with te block to progess. 57 or 64 buckets before it is filled up? how many buckets of fluid can go into the iron tank? It can contain twice the clay/wooden tank. The capacity of the clay/wooden tank can be set from the configuration file, you can put any value between 24 and 32.